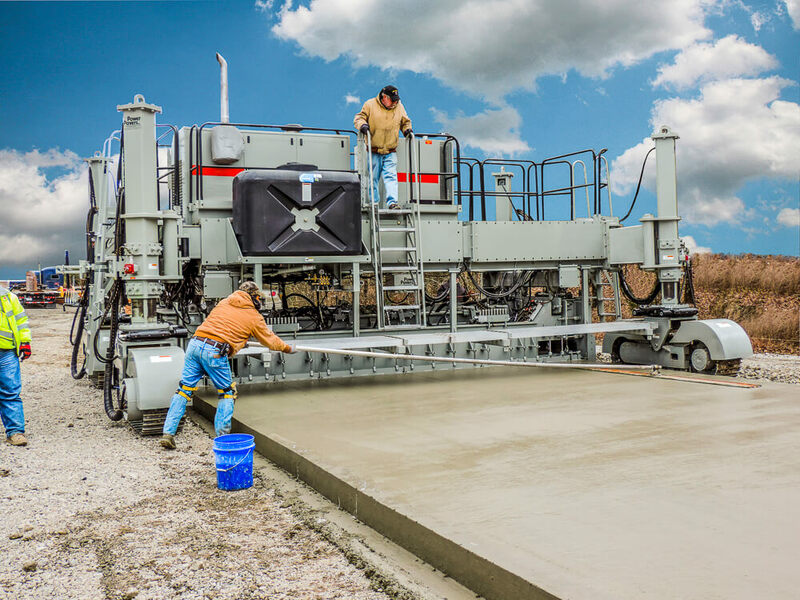 Power Curbers & Power Pavers is proud to introduce two new products that made their debut at ConExpo in Las Vegas this spring. 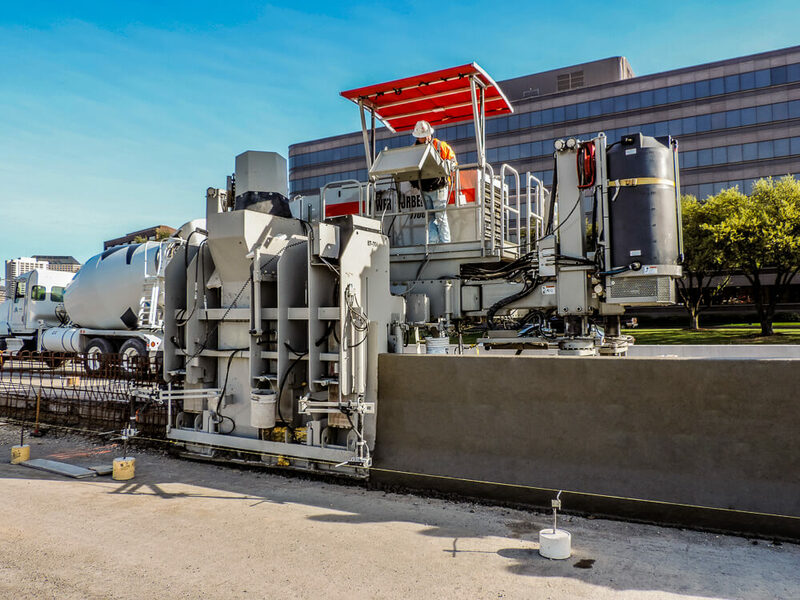 The new Power Curber model is the 7700, a multipurpose machine designed for a wide variety of offset applications and paving up to 20 feet (6 m) wide. 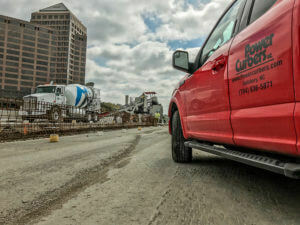 “This machine is the optimal size to pave up to 6 m while exceeding road quality standards, but also gives the contractor the ability to pour offset applications such as barrier or ditch work,” said Fred Bryan, International Sales Manager for Power Curbers & Power Pavers. The 7700 is ideal for contractors who do different types of work, including road paving and a variety of large offset applications like variable barrier, bridge parapet, and much more. The machine’s flexibility means it can handle complex, custom designs for jobs such as tunnels. 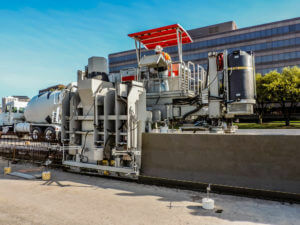 In paving mode, the 7700 features hydraulic sides, edge overbuild, and crowning capabilities. Optional features include a tamper bar, auger or plow, and finishers. 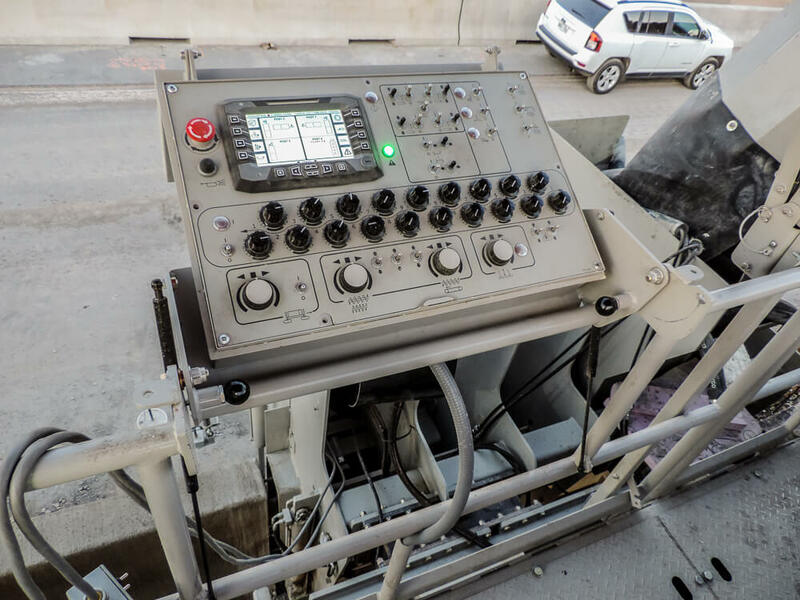 The 7700 also features the Simple Steer Track Positioning System, which aligns all four crawlers for switching modes. It is stringless capable, so contractors can use it with 3D/GPS machine controls. Also launching at ConExpo was the Power Paver SF-2404. 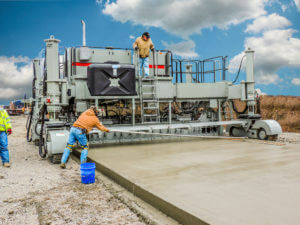 The 2400 series marks the first Power Paver model available in a four-track configuration. One-touch track positioning and simple steering controls make the 2400 series machines easy to operate. The SF-2404 is ideal for residential and intermediate paving projects up to 24.6 feet (7.5 m) wide, and can be configured for use with a dowel bar inserter (DBI). Another feature of the 2400 series is clear visibility from the operator’s platform. 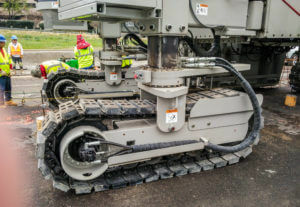 The operator can quickly and easily move from front to back and all the way around the machine to view the concrete and make adjustments while paving. The 2400 series machines are stringless-ready. A two-track model, the SF-2402, is also available.